I wanted to share my Strobe Creepy Cute Palette Swatches with you! 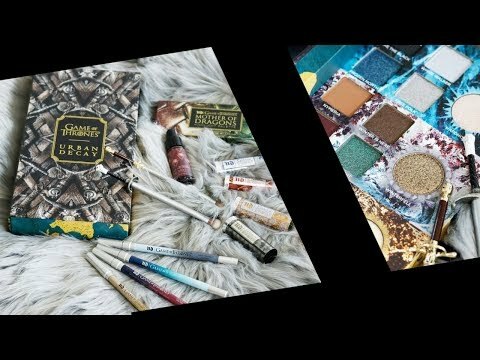 You can see my mini-review on this palette in my 23 Cruelty-Free & Vegan Eyeshadow Palettes review video. You can find Strobe Cosmetics at their website strobecosmetics.com. TOMBSTONE – a true gray matte eyeshadow. PLANCHETTE – a lavender matte eyeshadow. CREEP IT REAL – the perfect minty green matte eyeshadow. COLD SHOULDER – a sky blue matte eyeshadow. STRAWBERRY MILK – a creamy baby pink matte eyeshadow. TAKE A HINT – a soft chartreuse matte eyeshadow. VOID – the blackest black matte eyeshadow. THIRD EYE – a soft tangerine matte eyeshadow. From left to right, the top row swatches on fair skin are Tombstone, Creep it Real, Take a Hint, and Planchette. From left to right, the bottom row swatches on pale skin are Void, Cold Shoulder, Third Eye and Strawberry Milk. The Strobe Creepy Cute Eyeshadow Palette is $35 and 100% vegan. 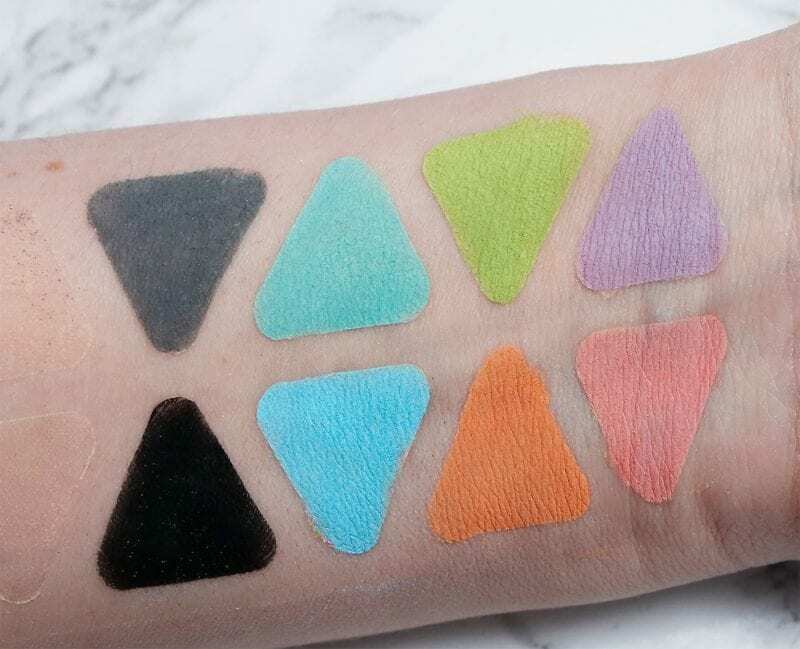 The brand describes these colors as ultra-saturated neon-pastel matte eyeshadows. Let’s talk about the names. I love the name Creepy Cute. It makes me think of Perky Goth. The eyeshadow names themselves are also very cute and a bit witchy. I don’t think people could be offended by these names. Originally, I bought this to do a swatch and compare next to the limited edition Kat Von D Pastel Goth palette that I loved. However, that palette’s quality has gone downhill and the colors seem to have less pigmentation. 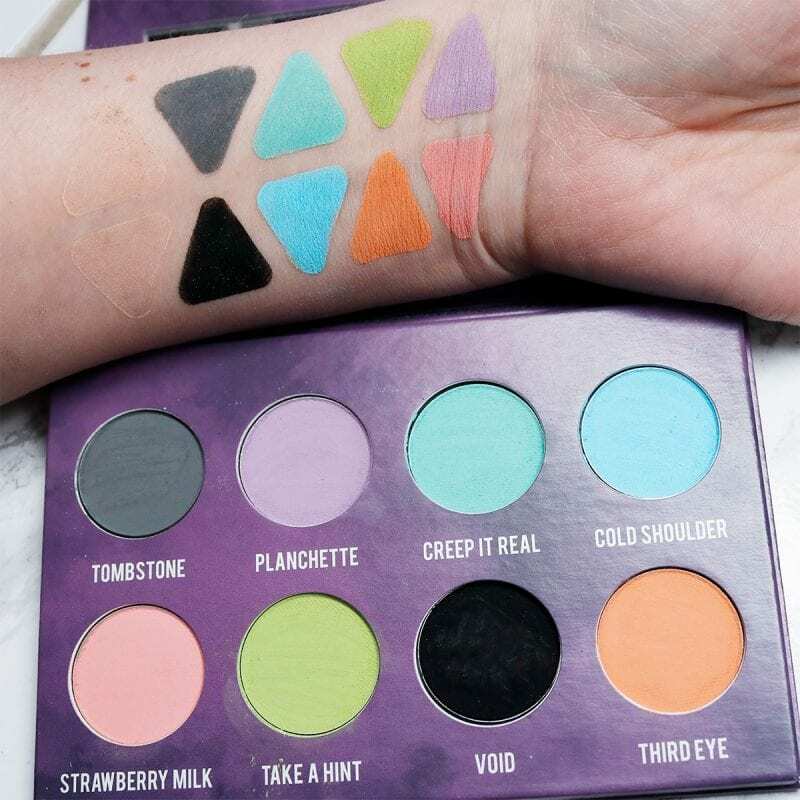 The discontinued limited edition Pastel Goth palette is also vegan. For a variety of reasons including how poorly Pastel Goth has aged, Anti-Semitism, Anti-vaccinations and more, I would not recommend the Pastel Goth now, even if you were to be able to pick it up secondhand. I recommend the Strobe Strobe Creepy Cute Palette because of the nice eyeshadow quality and lack of drama from the owner. Strobe just launched the Divinity palette, which I also purchased and will review some time in November. I still don’t have it yet and will not have time to review it before my trip to Scotland. 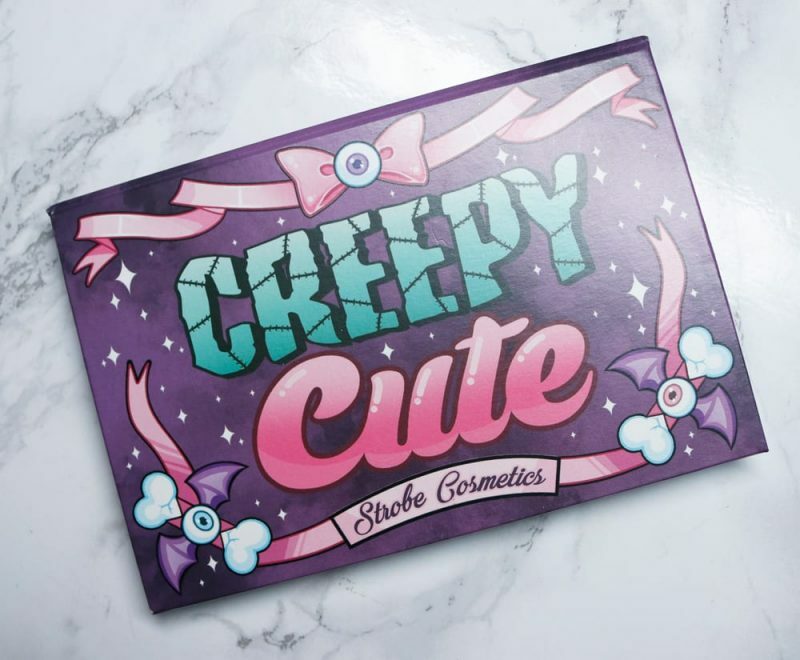 What do you think of the Strobe Strobe Creepy Cute Palette? Let me know! When you say ‘gone downhill,’ do you mean that the quality of Pastel Goth has deteriorated over time? Always regretted not getting PG. There are still some available…real, I think…at scalper prices. Now, think I am in the Kat von Done brigade, though to each his/her own. This has been on my radar. Thanks for the swatches and quick review. I have used your cool palette list quite nicely to round out the stash. Lunatick is especially nice. Happy Scotland. I think this looks super fun and yes, it’s a nice bonus that there’s no bad associations with it. The latest Ordinary drama has pushed me past my tolerance of bizarre and inappropriate owner behaviour.